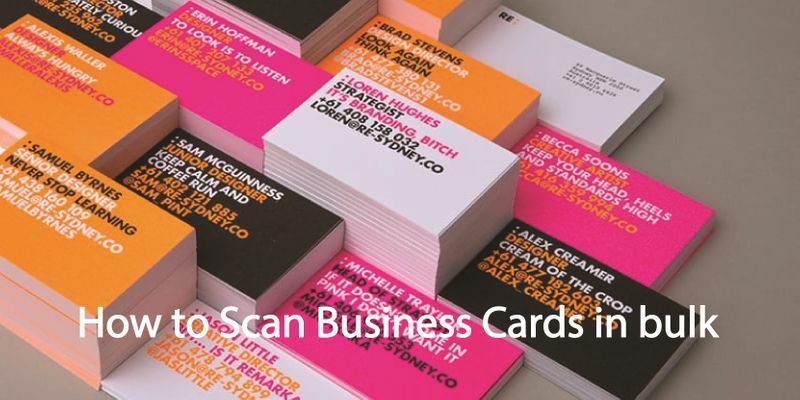 Having a stack of business cards in hand can make looking for that one contact very frustrating, especially if you’ve recently been to an event and came back with a stack. 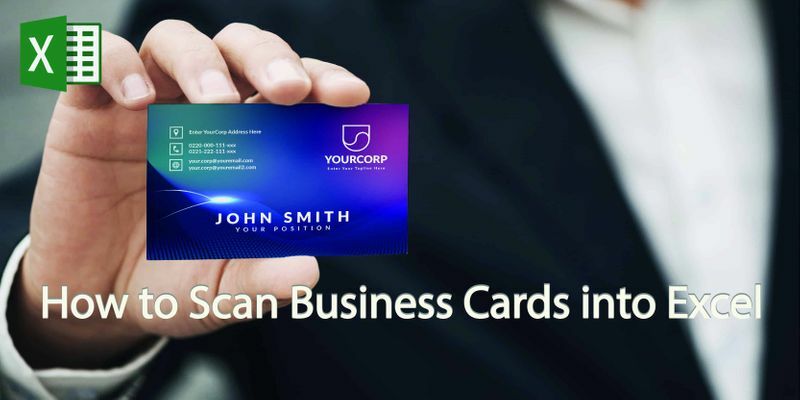 For those looking to avoid collecting paper and creating waste, using a digital business card scanner is the way to go and exporting in excel can prove very flexible in managing the data. 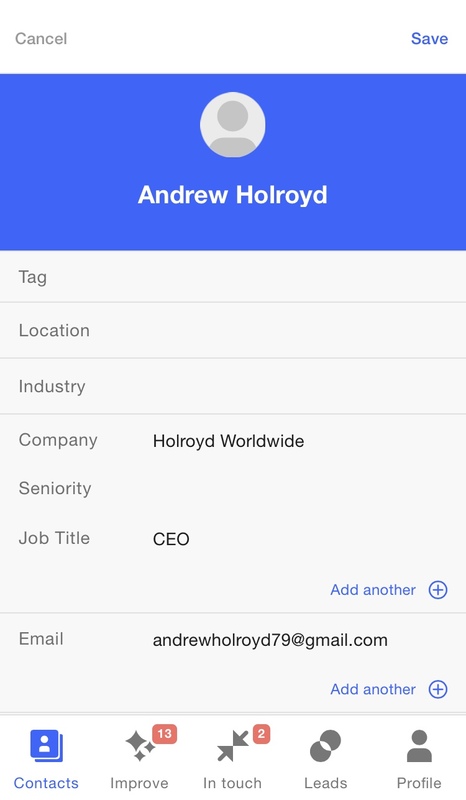 An easy and powerful option is to use Covve app which will scan unlimited business cards for free and will also continue scanning the web for any additional info on the contact, including picture, social profile links, job changes and even important news affecting your contacts and their companies. 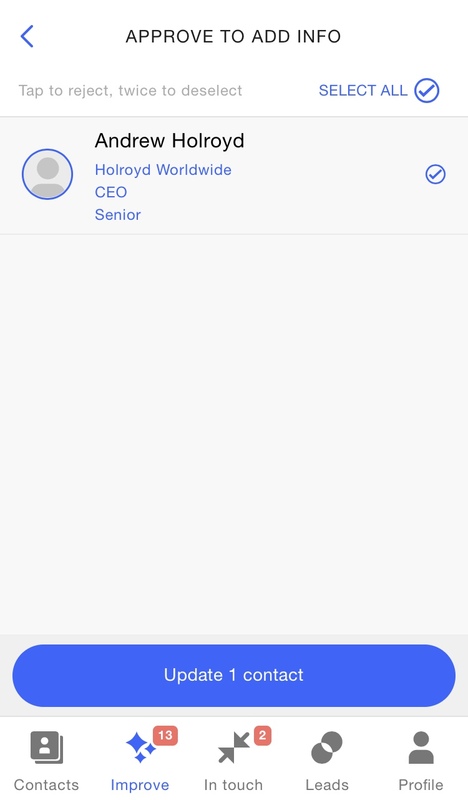 2) Open the Covve app and in Contacts hit Add/Scan, this will open the camera with a scan field. 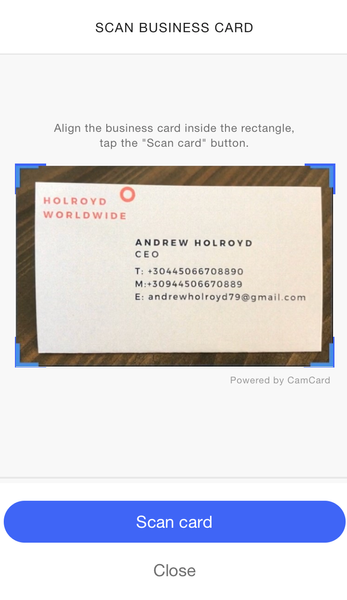 3) Place the business card in front of the camera, click scan and the details will be automatically scanned and filled-in. 4) The details will be placed into the new contact record and you can edit the fields or add a note with extra details, e.g. about where you met. 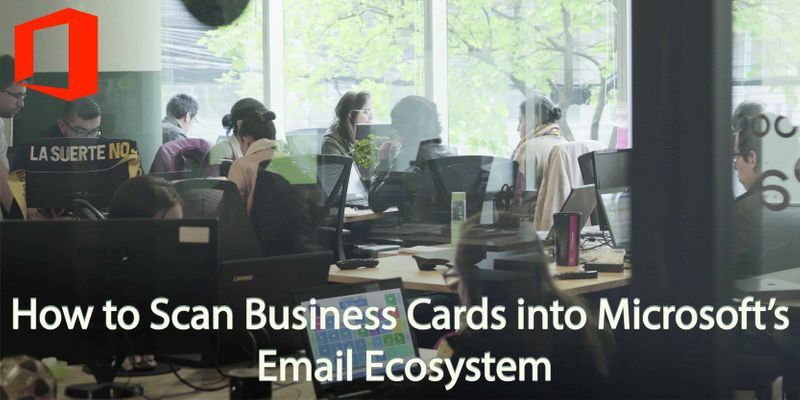 You can also set automatic reminders on how often you want to be in touch as well as send back your own electronic business card at a click of a button. 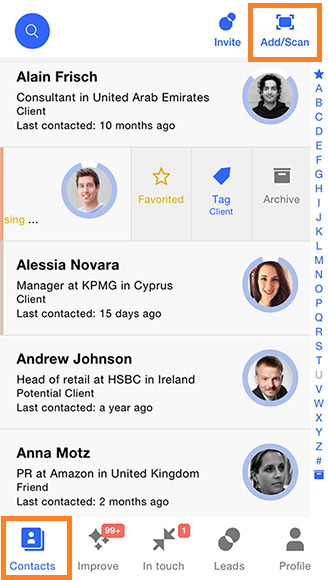 Covve will automatically update you when it finds new public info about your new contact on the web, including their picture and social media links. Go to Profile>Settings>Export contacts and click Request export. You will receive an email with your exported file after a few seconds. You can also export specific search results or filter results using the Covve web app. Go to Covve.com and click login on the top right. Search and then click the small arrow icon to export the results. You can also navigate your maps, find a segment you are after, click the small icon showing a person and then the export icon . 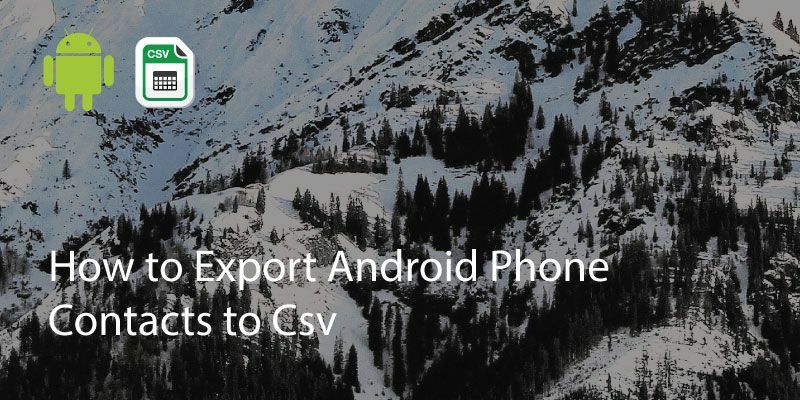 Note that you have to be on a Covve Pro account to export. 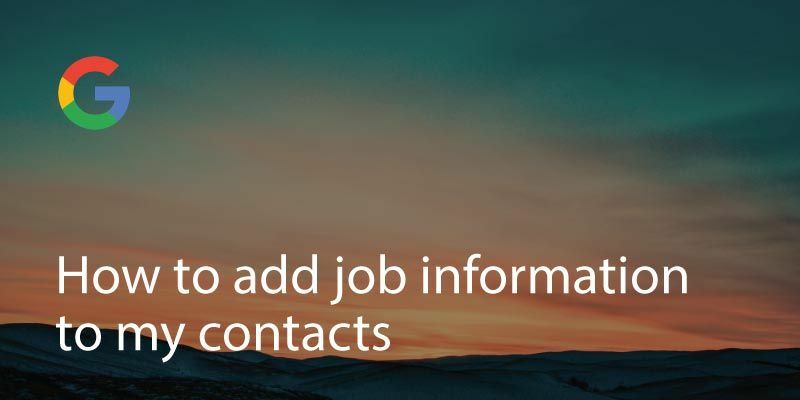 Once you have your contacts in an excel file, you can easily manage the data, click here on more instructions on how to manage excel and csv contact files. Written on 17 Dec 2018.